You probably already know how crucial getting your client’s input is to completing a project on time. The issue is, your clients are busy and getting their undivided attention can be hard. It sometimes feels like the project they're paying you a lot of money for isn't a priority. But for them, working on their website is only a small part of what they have to do and taking a step back from their other responsibilities to give their input when you need it is often difficult for them. And if you ask them for feedback in an email or a Google Doc, that becomes even more difficult. They likely have a ton of other tasks and requests coming in their email, and they probably see that work as more urgent. They’re paying you for a service after all, you can wait. At least that’s what the client will think. Since your client's attention is a scarce resource, you should make the most of it when you do have it. We've tried to make that as easy as possible with Pastel so far. You already get metadata, screenshots, and the exact location on the page the comment was left. Our goal with that has been to minimize the number of follow up questions needed and make feedback as actionable as possible. But sometimes you just need to ask your client something specific about the website. Getting them to look at the right place is not easy and we've had many requests to make that experience better. 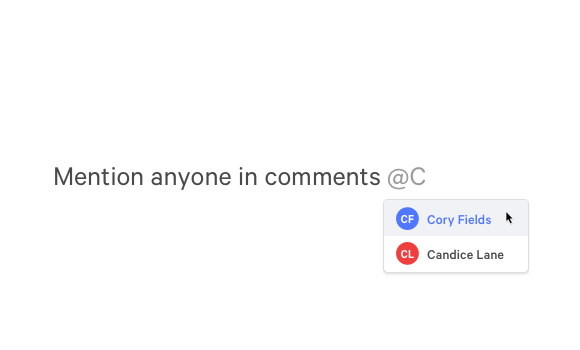 That’s why we're super excited to roll out a new feature to help with just that - tagging specific people in comments. 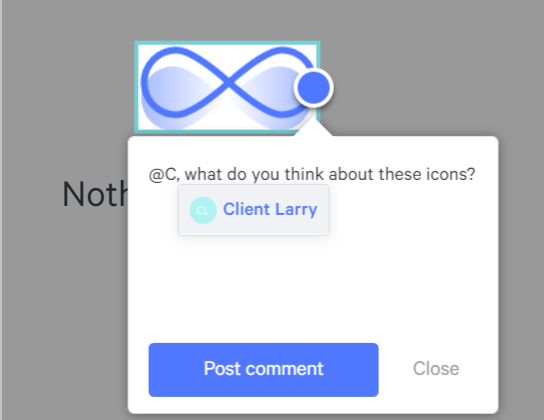 From today, on any of our team plans you can now type @ in a comment or reply and choose any team member or client you've shared the canvas with to tag them. Whoever you tag will get a notification with a link to the specific comment and they’ll be able to easily reply. Your clients and team can also easily tag you right back if they need your attention. No more vague “Hey, can you give us some feedback about the newest version of the landing page?”. You can now asks specific questions to guide your client feedback sessions. We’d love to hear what you think of this new feature as well as anything else you’d like to see in Pastel in the future. It shouldn’t come as a surprise that we love hearing feedback, so if there’s anything that comes to mind don’t hesitate to reach out on the chat in the right or at hello@usepastel.com.